After winding up the narrow mountain highway to the high-desert town of Sedona, travelers are rewarded with inspiring views, extra-starry nights, and an atmosphere that blends the metaphysical with a deep respect for the Old West and Native American cultures. This combination is one of the town’s charms and also a foundation for a unique kind of wellness tourism. Whether you’re hiking to a vortex or meditating on a cliff, Sedona slakes the thirst for that rarest of rewards—a revived sense of wonder. Nearly every adventure outfitter in town offers some version of a tour to the famed vortexes—unmarked sites within the landscape where electromagnetic energy is said to spin, clearing the way for more focused meditation, healing, and introspection. Some locals say you know you’re there when it feels as if lightning is about to strike. Make it a spiritual journey by booking a medicine wheel ceremony or alternative therapies with the Red Earth Adventures tour company (from $175 for two hours). 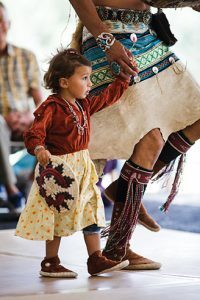 All ages take part in the Navajo Festival of Arts and Culture. Guides and locals alike confess a fondness for the popular West Fork Trail in Oak Creek Canyon—and its cool mountain breezes, steep rock walls, and more than a dozen creek crossings. With little elevation change along its 3-mile route, visitors can take time to inspect nature or the ruins of Mayhew’s Oak Creek Lodge. 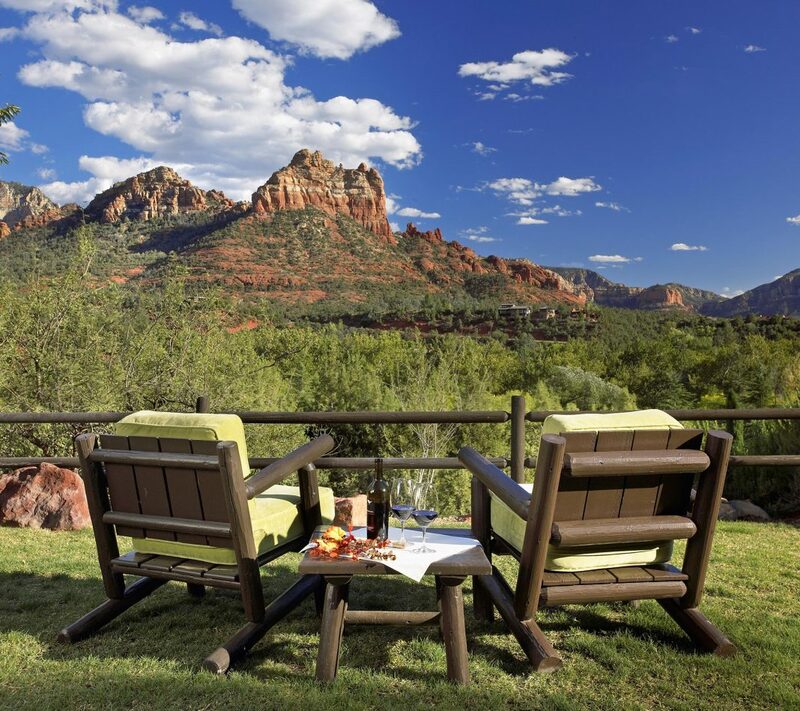 In 2011, L’Auberge de Sedona resort completed a $25 million renovation that redesigned the lobby, spa, and guest rooms ($317 and up), plus added a swimming pool, the Veranda Bar, and 30 ultra-luxurious cottages with stellar views of the region’s red rock landscape. Take in the view from your cottage’s balcony, or head indoors to stare into the fireplace or soak in the whirlpool tub. A fave feature? The open-roof, cedar-lined showers that wash you in sunshine or starlight. Enjoy some serenity with your salad by booking lunch at Etch Kitchen & Bar, the outdoor dining terrace of L’Auberge de Sedona. Shaded by sycamore trees, diners can sit along the banks of Oak Creek while sharing a platter of artisanal charcuterie ($21) and digging into a dill tempura cod sandwich ($25) or a hearty wood-grilled pork chop with Brussels sprouts and smoked speck ($32). 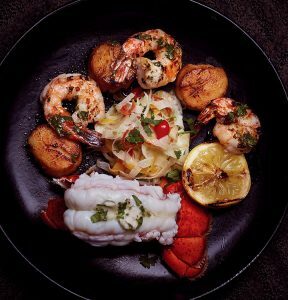 No need to narrow your choices with the Seafood Trio from Mariposa. slaw ($20) pair wonderfully with the dinner menu’s grilled steaks, seafood, and veggie platters ($24 to $58). Drive about 40 minutes from Sedona to the Verde Canyon Railroad, a 20-mile, four-hour excursion along the Verde River from Clarkdale to the ghost ranch in Perkinsville and back. Riding the restored vintage rail cars through the ancient geological wonders of the canyon and its lush greenery feels like time-traveling on rails. Open-air viewing cars help you spot wildlife and gaze across the canyons. Book the caboose for a private journey for six adults ($700); coach tickets from $45; first class, $90. Before wellness travel was hip, the Mii amo destination spa created a respected, restorative mind-body program set amid the tranquil red rocks of Boynton Canyon. Whether traveling solo or with your bestie, the spa’s customized three- to seven-day, all-inclusive retreats feature pampering massages, meditation, swimming, golf, and access to the adjacent Enchantment Resort. This month, the spa features a four- or seven-day retreat on how to be happy, “no matter what.” Appreciating the gorgeous landscape is a good place to start ($2,450 to $5,550).